Congratulations Dr. Haas! 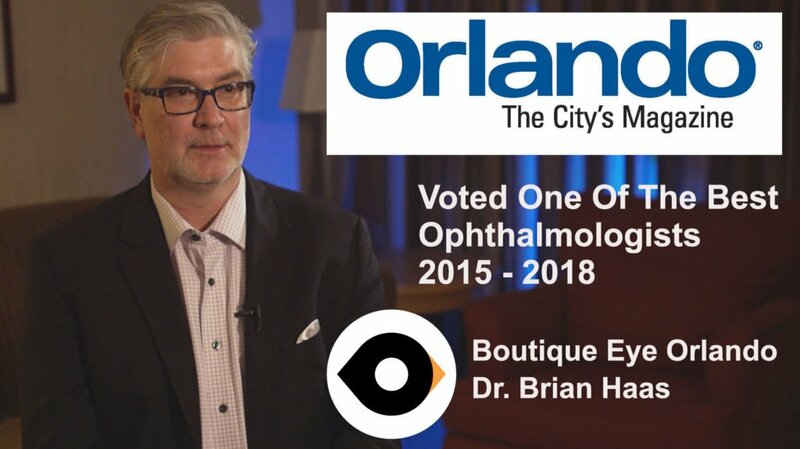 Orlando Magazine voted Dr. Brian Haas as one of the top Orlando Eye Doctors for 2018. We are proud to say that Dr. Haas has been recognized on the Orlando Magazine’s Top Doctor List consecutively for the past 4 years. Dr. Haas offers a full scope of ophthalmic care, specializing in custom cataract surgery, using Advanced Technology Intraocular Lens Implants which are specially engineered to mimic the eye’s natural lens and allow patients to be independent of glasses after surgery. Dr. Haas also offers cosmetic eyelid surgery and premium facial fillers including Botox, Juvederm, Radiesse and more. If you would like an appointment with Orlando’s best eye doctor, call Boutique Eye Orlando at 407-841-1490 today!